Despite the ongoing risks of wage inflation and trade war, the major financial markets recorded another decent week of gains. A current market review suggests that these factors are priced in with the information we have in hand. The economy is very strong now. With unemployment this low (3.8%), we can expect higher inflation later on and thus, the interest rates will rise more than stock market would expect. 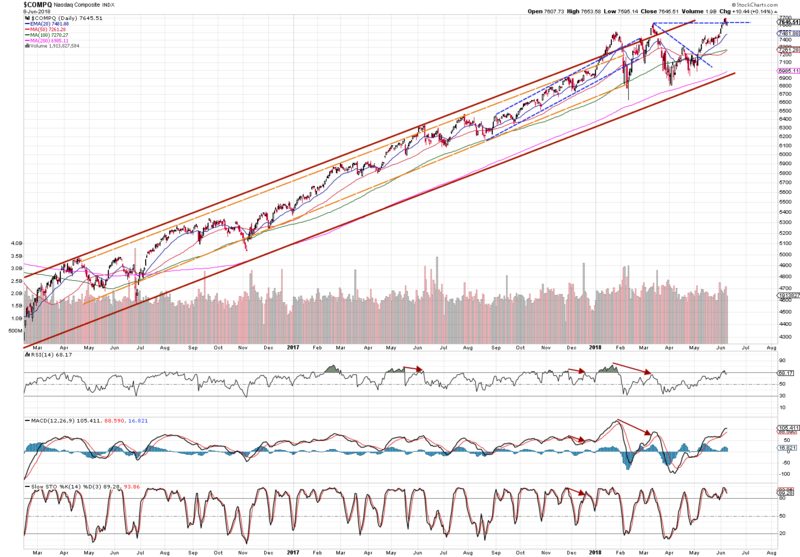 This will certainly cause disruptions to the stock market in form of corrections or pullbacks in future. That’s why we review the indexes in the USA and Great Britain on regular basis. Watching the current support and resistance levels while keeping an eye on a big trend provides irrecoverable information for specific investment decisions to stay in profit. The volatility has come down to pre-February levels. Are we going to continue to see a price behavior too? Well, this super low volatility is a good sign for steady and trendy price movements. Finally, the price swang up as expected. Let’s watch the resistance level now – when the upcoming resistance breaks, the price may be driven much higher to the top of the triangle as the second resistance checkpoint. Well, Dow has finally broken from the sideways trading between 100 and 200 SMA. The index has so much space to run now. It can easily target its previous highest high. After successful completion of a Flag Pattern, the best performing index rose and managed to break its resistance. This is the place where the index sitting now and everybody wonders what is next. 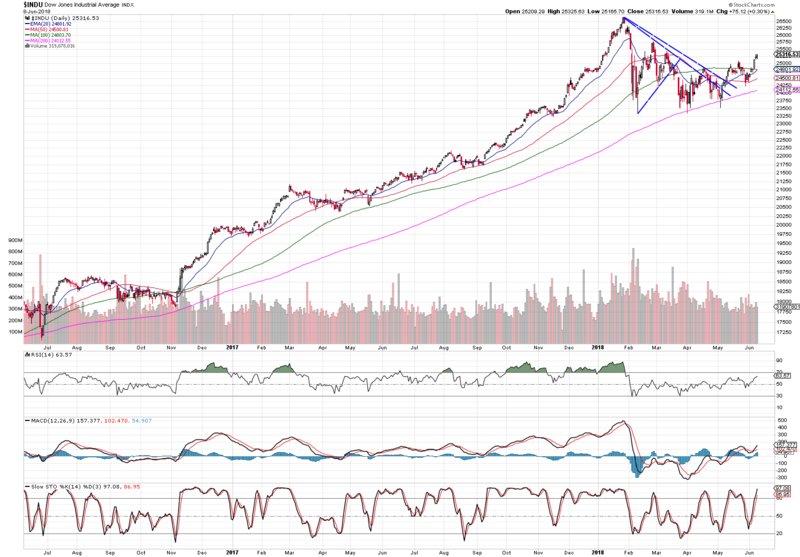 A little consolidation around this level to meet the 20 EMA is expected before it goes up again. The FTSE100 is in consolidation now. 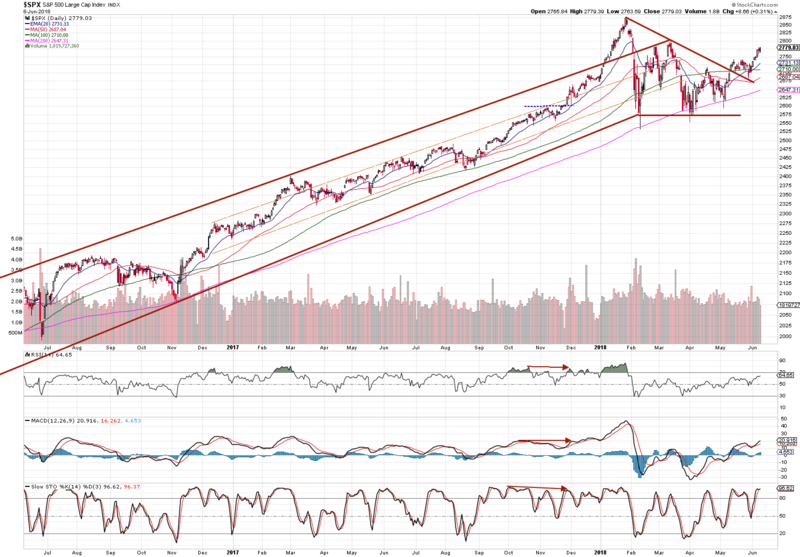 After such steep rise, I would expect the consolidation to last another week at least. The financial markets are definitely in a bullish mode and provide great investing possibilities if you get into the right stocks with strong fundamentals. Stay disciplined and focused on the big picture!